*We’re always suckers here for good tower pictures – and that one at the right, courtesy of Bill Weeks and his drone, is a doozy for more than one reason. Not only does it depict a tower near us here in lovely western NEW YORK, it may well be one of the last pictures you’ll ever see of this particular tower, the aging guyed stick on Grand Island, just north of Buffalo, that holds Entercom’s WKSE (98.5 Niagara Falls). The Staley Road site dates back to the 1950s, when Niagara Falls’ WHLD(AM) moved from 1290 to 1270 and built a new two-tower array on Grand Island; WHLD eventually moved off the island and down to a diplex on the AM 970 site in Hamburg, south of Buffalo, leaving WKSE (the former WHLD-FM) all alone on Staley Road. *There’s a tower coming down in NEW JERSEY, too, where Press Communications’ WBHX (99.7 Tuckerton) tells the FCC it lost its lease on its longtime tower last week, with demolition set to begin on Friday. After losing its battle to move to 99.3, swapping frequencies with Equity’s WZBZ, WBHX had to settle for now for a temporary antenna on one of those “COW” (cell-on-wheels) trailers, which will be parked next to the water tower in Beach Haven while Press keeps looking for a new permanent tower site. *It’s been an interesting downeast MAINE radio adventure for DC-based broadcaster Chuck Begin, but his Pine Tree Broadcasting is now preparing to leave the Pine Tree State. 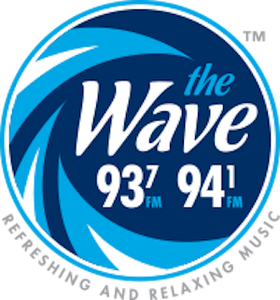 After selling WRMO (93.7 Milbridge) to Maine Public Radio, which took over the coastal FM signal on Thursday, Pine Tree filed on Friday to sell its three Bangor-area AM stations and its remaining Bangor translator to Port Broadcasting. The addition of the Bangor-market stations will give the new Port a reach of more than 200 miles along the New England coast, and we’re excited to see what radio vets Strube and Falconi have planned for their newest market. *In eastern MASSACHUSETTS, we’re remembering two legendary broadcasters this week. 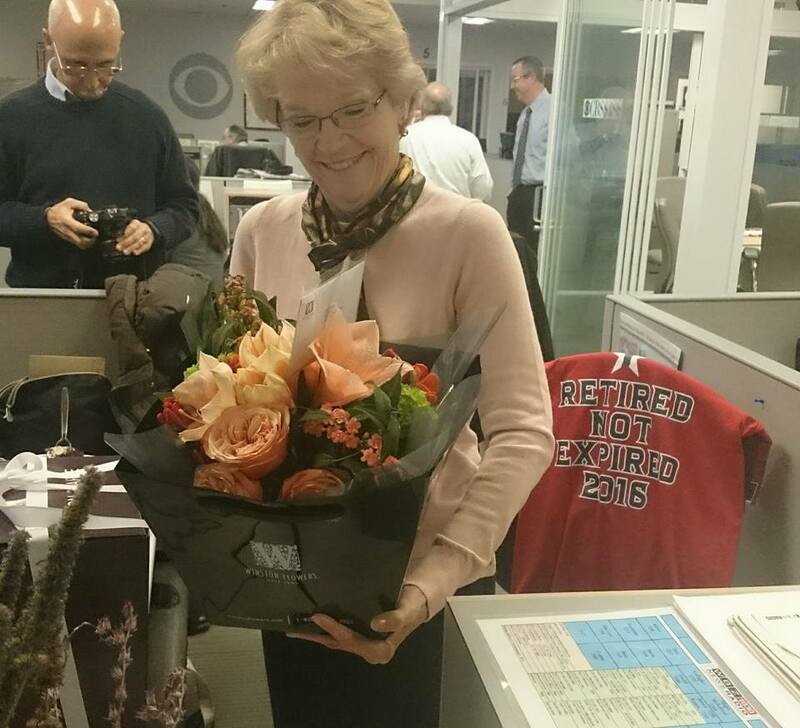 WBZ (1030 Boston)’s Diane Stern is still very much with us, thankfully – but as of last Tuesday night, she’s retired from her very long run as afternoon news anchor. Stern joined WBZ in 1983 after doing news at WEEI (590), WMEX/WITS (1510) and WMLO (1570 Beverly), a 40-year run in all. And just as Stern was signing off came some sad news from WCVB (Channel 5), the station where her husband Neil Ungerleider spent several decades as a news manager. After the news in October of the death of one of WCVB’s founders, 102-year-old Leo Beranek, comes word of the death of one of Beranek’s partners in Boston Broadcasters Inc., Bob Bennett. Bennett, who died Tuesday in California, worked his way up from being a CBS page in Los Angeles in 1948 to a sales job at KTTV (Channel 11) in 1952, then worked his way up through Metromedia to management gigs at WTTG (Channel 5) in Washington and, in 1969, to New York’s WNEW-TV (Channel 5). He was serving as VP/GM there when the Boston Broadcasters group approached him to become the founding GM of WCVB, a high-risk and high-profile position for any broadcaster. When Bennett joined BBI in 1971, the company was still waging an uncertain battle to take over channel 5 from the old WHDH-TV. While waiting for the courts to make their final rulings on WHDH-TV’s appeal of its license revocation, it was Bennett’s job to find the new WCVB a home (in a former International Harvester dealership in Needham), a staff and a programming lineup, all against the possibility that the new station might never actually get a license. Bennett became a partner in Metromedia and president of Metromedia Broadcasting, where he oversaw the resale of WCVB to Hearst for $450 million in 1985 and then the sale of the rest of the Metromedia TV station group to become the core of the new Fox network. Bennett later ran the TV division of New World before retiring. He was 89. *The biggest story from NEW YORK this week comes from the CBS Radio News newsroom in the Broadcast Center on W. 57th Street. That’s where the news broke Friday of big staffing cuts, in the form of voluntary buyout packages that enticed several of the network’s signature voices to take retirement. On the air, that includes anchors Bill Whitney and Harley Carnes and Washington correspondent Barry Bagnato. Washington bureau manager Howard Arenstein is out – and so is New York-based executive producer Charlie Kaye, the heart and soul of the New York newsroom. With 34 years under his belt at CBS (and an even longer news career before that at stations such as WHN), Kaye is the most senior of the CBS staffers to take the buyout. *Off the coast of MASSACHUSETTS, commercial island radio has had a tough time thriving over the last few decades. On Nantucket, John Garabedian’s WGTF (93.5) gave way to WRZE (96.3), with higher power that eventually allowed the station to target the bigger listener base on Cape Cod proper. Eventually, 96.3 moved off the island entirely, and is now the Cape’s WEEI sports affiliate, WEII (96.3 Dennis). On Martha’s Vineyard, the original island station, WVOI (95.9), lasted only a few years in the 1970s, going dark and eventually being replaced in 1981 by a new Vineyard FM signal, WMVY (92.7 Tisbury). In just over three decades on the air, WMVY pioneered the “adult album alternative” format and streaming radio, becoming a listener favorite not only on the Cape and the islands but also drawing a following worldwide as one of the first commercial stations to webcast. And come the new year, the webcast may end up outliving the FM signal that gave birth to it, now that station owner Aritaur Broadcasting is selling the 92.7 facility to Boston public broadcaster WBUR-FM (90.9) for $715,000. For the last few years, “MVY” has quietly become two operations, and only one of them will end when Aritaur sells the license and 92.7 becomes a full-time relay of WBUR. While Aritaur has struggled to keep the commercial terrestrial signal on 92.7 viable – it says it’s been losing money for several years – a separate nonprofit, “Friends of MVYRadio,” has been operating the station’s website and providing streams not only of WMVY’s commercial air signal but also of a noncommercial mix of AAA programming. With the sale of the 92.7 facility, it’s now up to “Friends of MVYRadio” to find a way to keep their operation going. The group has launched an ambitious fundraising effort, hoping to raise $600,000 by the end of January (“60 Days to $600k”) to purchase the WMVY studios and fund the costs of operating MVY Radio as a nonprofit, non-commercial online operation, using equipment and intellectual property being donated by Aritaur. If the MVYRadio group can get over that big initial hurdle (it’s already over $126,000 as of Sunday afternoon), it’s hoping for a possible return to the terrestrial airwaves in the future as a noncommercial operation. Could that potentially include a partnership with the new class A noncomm that’s been testing on the Vineyard, WMEX (88.7 Edgartown), or with the island’s existing LPFM, WVVY-LP (93.7)? *In western NEW YORK, it was the end of two eras over the weekend, and both involved public broadcaster WNED. At the very end of November, WNED (970 Buffalo) signed off for the last time, ending 36 years of noncommercial operation on the frequency. When WNED, then a TV-only public broadcaster, bought WEBR (970) and WREZ (94.5) from Queen City Radio in 1976, it marked the first time a public broadcaster had purchased a functioning commercial AM station. But the trend that WNED started didn’t last; as listening patterns shifted from AM to FM, public broadcasters quickly stopped seeking news-talk listenership on the AM dial. WNED’s acquisition last year of news-talk competitor WBFO (88.7) spelled the end for AM 970, which was put up for sale. Crawford Broadcasting paid $875,000 for the AM 970 license and the five-tower transmitter site in Hamburg. After some technical work at the site, 970 will return to the air as a commercial religious station, under new calls WDCZ, simulcasting WDCX-FM (99.5 Buffalo). Crawford hopes the AM signal will give WDCX better penetration to the north into Toronto, where some former WNED 970 listeners are already complaining about losing easy access to NPR programming over the air. *The NEW YORK morning radio dial is spinning this week, in ways both predictable and not. The predictable first: this morning marks the return of Don Imus to the radio, with flagship WABC (770 New York), radio syndication through WABC parent Citadel Broadcasting, and TV coverage via RFD-TV, which is still chiefly available to viewers with direct-to-home dishes, though the network is working on expanding its cable footprint. Almost as inevitable as Imus’ return was the eventual demise of Whoopi Goldberg’s syndicated morning show. “Waking up with Whoopi” made an initial splash with big-market affiliates that included Chicago’s WLIT, Philadelphia’s WISX and New York’s WKTU. But the show failed to catch on in most of those markets, disappearing from both Chicago and Philadelphia earlier this year. Last week, Whoopi lost her New York flagship, when WKTU abruptly pulled the show after its Wednesday airing, with no replacement in place. Syndication of the show (which actually originated from a studio at sister station WWPR in Manhattan, rather than at WKTU’s Jersey City studios) continues for now, but it’s hard to imagine that Goldberg, with other committments that include a co-host role on ABC’s “The View,” will continue to do the show for very long for a network that now numbers fewer than a dozen stations, the largest in Norfolk, Virginia. What will KTU do next? Whoopi’s co-host, Paul “Cubby” Bryant, is a versatile talent who loyally gave up his afternoon slot on Clear Channel’s WHTZ (Z100) to smooth Goldberg’s transition to radio. That should make him a strong candidate for the KTU morning slot – or for afternoons there, if former KTU morning guys Hollywood Hamilton and Goumba Johnny return to mornings there. And then there’s the biggest surprise in the New York morning arena: Star and Buc Wild, ousted from WWPR in a blaze of negative publicity in May 2006 after Star (real name: Troi Torain) engaged in a nasty on-air feud with jocks at rival WQHT, are planning a January return to the city’s airwaves. In itself, that’s not all that surprising – but it’s where they plan to return that’s of particular interest. That’s WNYZ-LP, the low-power TV station broadcasting from Long Island City on channel 6. As we’ve reported previously here on NERW, it’s not WNYZ’s video signal that’s of interest to Star. It’s the audio carrier at 87.76 MHz (which migrated, briefly and not necessarily legally, up to 87.88 MHz), right at the bottom of the FM broadcast band. The signal’s been on the air for more than a year now, broadcasting in Russian. Last week, Mega Media, which is leasing WNYZ from owner Island Broadcasting, announced that it will relaunch the frequency on January 15 as “Pulse 87,” an English-language top-40 station, with Star and Buc Wild and the rest of their crew in morning drive. There are plenty of unanswered questions here, beginning with the legality of a low-power TV station broadcasting as a radio station, not to mention the unusually strong reach of what’s supposed to be a fairly weak, very directional signal. Even if those are resolved in WNYZ’s favor, there’s the question of ratings: it’s Arbitron policy not to rate TV stations’ audio, and that’s not a policy that’s likely to change, especially given the shaky relations between the ratings company and the commercial broadcasters who pay its bills right now. Then there’s the analog sunset: even though WNYZ, as an LPTV license, won’t be forced to go digital in 2009, when its full-power brethren switch, the FCC has said there will be an end to analog LPTV at some point fairly soon – and with no analog TV signal, there’s no analog audio carrier to hear on FM radios, either. From MASSACHUSETTS comes word that WLVI (Channel 56) is losing its news director, hot on the heels of the imminent departure of anchor Jeff Barnd. For Greg Caputo, who’s been at the station for seven years, it’s both a promotion and a homecoming; he’s headed to Chicago to helm the news operation at Tribune mothership WGN-TV (Channel 9), where he’ll compete head-to-head with Fox’s WFLD (Channel 32), whose news operation Caputo led from 1985 until 1993. No replacement has been announced yet. On the radio side, Alan Chartrand adds station manager duties for WKLB-FM (99.5 Lowell) to his existing responsibilities at sister Greater Media talker WTKK (96.9). It’s official; as we speculated a few months back, Greater Media is signing a 15-year lease on a Morrissey Boulevard building to house all its Boston stations. WBOS (92.9 Brookline) and WSJZ (96.9) will move from 1200 Soldiers Field Road in Brighton, WKLB-FM (99.5 Lowell) and WMJX (106.7) will move from the Salada Tea building on Stuart Street, and WROR-FM (105.7 Framingham) will move from the Prudential Tower. It’ll create quite the media circus down there; the Boston Globe and WLVI (Channel 56) are already housed next door to each other across the street from Greater’s new home, which is itself just down the block from the 1960s and early 70s home of WHDH-AM/FM/TV. In NEW YORK, the big news out of the Big Apple is the sale of WNWK (105.9 Newark, N.J.), one of the most underappreciated FM signals in the city. It’s just been sold to Heftel Broadcasting for a whopping $115 million. It’ll flip from multilingual to a Spanish-language format once the deal closes. WNWK, being a class B1, doesn’t have the reach of the other large New York FMs (it’s also hampered by a first-adjacent signal in Patchogue, Long Island, among others), but it’s still pretty solid in the city and the Jersey suburbs from its Chrysler Building transmitter. And we join with the staff of Buffalo’s WBEN (930) in mourning the passing of Clint Buehlman, a WBEN personality from the 1940s until his retirement in July 1977. Buehlman was Buffalo’s most popular radio host for years, as the “AM M-C” at the helm of the WBEN Good Morning Show. Buehlman hosted the show from March 1943 (when he joined WBEN from rival WGR) until he left the station. He died Tuesday at his home in Snyder, outside Buffalo. Buehlman was 85 years old.